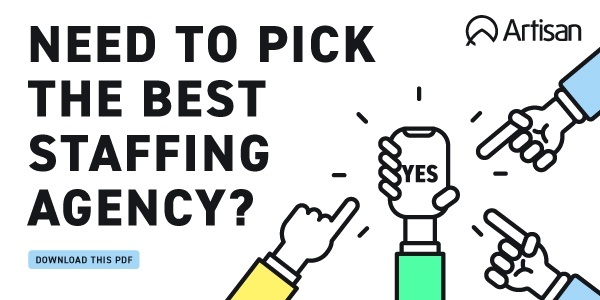 What Does "Best of Staffing" Mean? "Best of Staffing® winners have proven to be industry leaders in service quality based entirely on ratings provided by their clients and the employees they’ve helped find jobs," says Inavero. 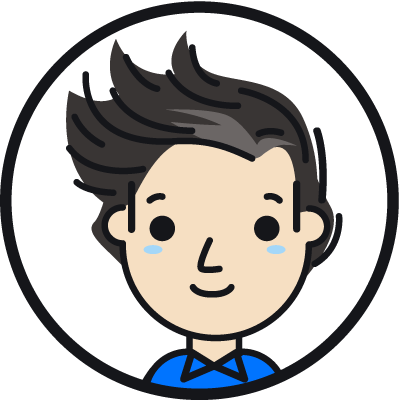 On average, clients of winning agencies are 2.3 times more likely to be completely satisfied and job seekers who work with winning agencies are 1.7 times more likely to be completely satisfied with the services provided compared to those working with non-winning agencies. "Our company works hard to keep client service and talent advocacy at the top of our priorities. We are proud and honored to be recognized for the 5th year in a row for our efforts," says Artisan CEO and Founder Bejan Douraghy. On behalf of each participating staffing agency, Inavero sends an electronic satisfaction survey to the staffing agency’s clients and job candidates. The survey asks them to rate the agency on a scale of 0–10 based on their most recent experience and asks how likely they are to recommend the agency to a friend or colleague. Each agency’s survey responses are calculated and validated by third-party research firm Inavero. The minimum satisfaction score that staffing agencies must earn to be awarded is determined. Each year the minimum score for client and talent satisfaction is calculated and is always significantly higher than the industry average. Focused on helping to connect people with the right job openings at US companies, Artisan received satisfaction scores of 9 or 10 out of 10 from 68% of their clients and 60% of their talent, significantly higher than the industry’s average. 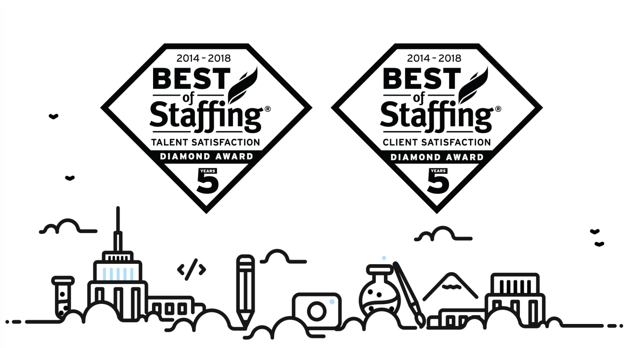 Fewer than 2% of all staffing agencies in the US earn the Best of Staffing Award and just 33% of the 2018 Best of Staffing winners earned the Diamond Award distinction. Less than 2% of the nation’s agencies win this award. Setting realistic expectations when taking a job order has the largest impact on satisfaction prior to a placement being made. Winning firms are more than 30% more likely to use industry-specific data to educate their clients. 89% of talent placed by winning firms like Artisan say they were treated well at the companies they’re placed at, which is significantly higher than the industry average. Compared to non-winning firms, winning firms have nearly half as many dissatisfied clients and talent. They are also rated better by both clients and talent and placed talent for their ability to resolve issues when they occur. Nearly 9 in 10 firms have changed parts of their process based on the survey feedback they received — and we’re one of them! 77% of winners believe that the Best of Staffing winner designation has helped them earn new business. We’re taking our feedback seriously. We read every comment, positive or negative, address any issues, and strategize for improvement in the following year. Here’s how Artisan stacked up this time. Thank you to all of Artisan’s amazing clients, talent, and employees for making this win possible again. We are inspired and honored. 35% of U.S. companies have used a staffing agency in the past 12 months, but why? Hiring can be difficult. The ad posting, interviews, background checks...spending time and money on someone who might not be "The One" can be daunting. There are a lot of highly talented, honest, hard-working professionals out there who would make that vacant cubicle a hub of awesomeness for your company—but how do you find them? Creative staffing agencies can help speed up the hiring process by doing the matchmaking for you. You get access to a higher-quality talent pool. At Artisan, we only work with the top talent in the country. Our designers, writers, presentation specialists, etc., have amazing portfolios and credentials. But that’s not all—as LinkedIn notes, some of the best candidates are “passive” and not actively combing help wanted ads. The best staffing agencies have long-standing relationships with their talent, no matter where they are in their careers, and can contact these "hidden gem" candidates for you. The background checks are done. All of our talented professionals have had a full background check. We vet and stand behind the talent we work with, and we only work with the best. We know them, we’ve interviewed them, we’ve seen their work and gotten feedback from their previous jobs. How's that for saving you some headaches? According to the Wall Street Journal, companies are taking nearly a month to find new employees that fit their needs—and as you know, time=money. Companies are nervous about the talent, they’re still sketchy about the economy and they just want to know they’re getting the best talent for their money. You can save a lot of time and resources by relying on the agency to find you a pool of qualified, vetted candidates from the get-go because of their deep networks with active and passive candidates. The right hire for the right reasons. The best matches in the employment world are those where both the needs of the client and the needs of the talent are closely synchronized. Our clients can customize their talent search to designate what skills and experience they need, whether the position is temporary, part-time or full-time, and the salary range. At the same time, our talent pool is able to look through opportunities that fit their needs too—we are always looking for the win-win. The right match can hit the ground running. Sure, there’s always a learning curve whenever a new hire comes on board, but a digital and creative staffing agency can find you candidates with qualifications and talents that enable them to take the steps two at a time instead of getting stuck looking confused on the mezzanine. Staffing agencies work in nearly all industries, says BestofStaffing.com, hiring people at all stages of their career from entry level to senior executive positions. Staffing agencies continue to grow in popularity, but there are still many misconceptions and questions on how to hire the best one. We suggest you do your research and reach out to a couple agencies that strike your fancy. Need an easy way to track all this information? Check out this interactive PDF we built for assessing different staffing partners. Why should you contact Best of Staffing award-winning agency Artisan? We understand the diversity of personality types found in the creative world. Taking the time to understand your corporate culture and then matching it to the right creative candidate is incredibly important to your office environment — and your brand — and we get that. Too, our Recruiters have taken the time to get to know the strengths and weaknesses of our talent, and spend time proactively networking on the creative scene; they understand the industry and how it’s changing. They recognize that creative candidates want autonomy while still having corporate structure. Which candidate will balance the ability to meet company deadlines and work well in a team environment while still retaining their creative spark? A good Recruiter can answer these questions. Want to learn more about working with the great team at Artisan? Search our open jobs or learn about how to hire talent. Artisan New York Listed as "Best Temporary Staffing Firm"